Are there community gardens operated by your local mosque? Is there such a thing as an Islamic or Quranic garden? What are the Islamic principles regarding gardening and agriculture in general? These questions and more have been asked by avid gardeners in the Muslims community who have been keen on establishing natural areas that conform to traditional Islamic permaculture. While access to this information has been limited in the Western world, there is a growing movement towards spiritual gardening that incorporates the sacred and scriptural teaching into how we grow plants, raise animals and interact with nature in general. 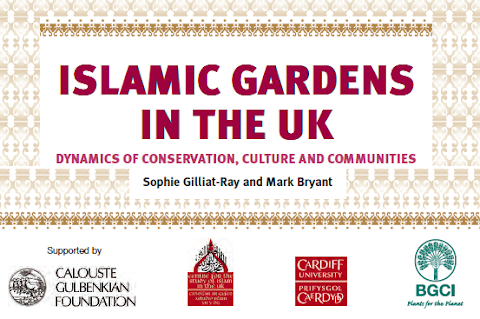 The Botanic Gardens Conservation International (BGCI) recognized the interest in this area and recently commissioned a report examining the need, value and viability of Islamic gardens in the United Kingdom. The goal of Islamic Gardens in the UK was to promote conservation through an alternate means and to better engage the Muslim population in the UK about environmental issues. The researchers were seeking to establish the feasibility of bringing Islamic gardening traditions and faith-based environmentalism together, and evaluate the likelihood of its success. Although the findings demonstrate that many of the existing Islamic gardens in the UK do not pro-actively promote biodiversity and conservation, they do act as a medium for educating both Muslim and non-Muslim audiences about the traditional gardens in the Islamic world and the rich heritage it represents. The concept of an Islamic garden can still be found today across the Muslims world. Areas from Persia to Northern India have remnants of the integration of formal garden architecture with symbols of paradise as described in the Quran. There is also emerging evidence that the gardens of the Islamic Empire were sites of experimental study and more closely resemble the botanical gardens or experimental farms of today. The methodology of the study involved consulting with various experts and activists, specifically those that work in the field of Islamic garden design and Islamic environmentalism. They also worked with those members of conservation and horticultural societies to seek their feedback on the viability of Islamic gardens as well as engaged with other faith groups to document the benefits of gardening from a spiritual perspective. In relation to other British Muslims, the respondents indicated they were aware of environmental issues and that this was largely driven by the efforts of secular/mainstream initiatives (64%), rather than Islamic principles and obligations (12%). Islamic leaders could have an important role in reversing this balance, and 94% of respondents would like to see Friday sermons addressing this issue. Islamic gardens could have a significant role in promoting Muslim heritage, which could be valuable for inter-religious understanding and social cohesion. Passive educational methods (posters, pamphlets, film) could be effective in enabling visitors to appreciate the link between Islam and conservation. The researchers did note that the environmental message is of Islam is slowly being taken up by a new generation of British-born activists who possess the credibility and knowledge to demonstrate environmental responsibility from an Islamic perspective. Developing traditional Islamic gardens is one tool towards promoting greater stewardship within the Muslims community. Overall this report represents an important first step in surveying the Muslim community on their perspectives towards the environment. Although the sample size is fairly small, the findings document a genuine interest and inherent need for the environmental message to be incorporated into the religious framework of the mosque. From a Canadian context, the findings of this study can be applied to our municipal, provincial and national park network to better engage Muslims with the natural environment. Many of the barriers identified in the UK are a less of an issue here as many Canadians have access to parks, and admission fees are reasonable if they are charged at all. The development of passive educational methods is one tool that is fairly inexpensive to develop and would be a significant first step in connecting the natural world with the spiritual teachings in Islam. Raising the profile of environmental issues through mediums like the Green Khutbah Campaign is another takeaway as there was a strong desire from the respondents to learn these messages through mosques.